Drake Well Museum and Park is administered by the Pennsylvania Historical and Museum Commission and is actively supported by Friends of Drake Well, Inc., a non-profit community-based organization. The museum serves as the historical heart of Pennsylvania's Oil Region National Heritage Area and is one of 23 historic sites and museums that make up the Pennsylvania Trails of History. 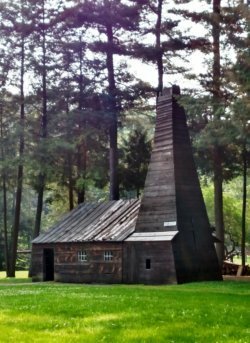 For over 80 years, Drake Well Museum and Park has preserved and interpreted the site of the Drake Well, chronicling the birth and development of the petroleum industry in Pennsylvania as well as its growth into a global enterprise. Visitors to the museum’s 240-acre site enjoy a board-for-board replica of Drake’s engine house built around the National Historic Landmark well, an operating central power oil lease, a standard drilling rig, 12,000 square feet of interior exhibits, and the largest artifact and archival collection focused on the birth of the modern petroleum industry. Drake Well Museum and Park also offers an abundance of year-round recreational opportunities, including paved bike trails, delayed harvest fly fishing in Oil Creek, modern picnic facilities, hiking trails, and a neighboring 9,000-acre state park. Drake Well Museum and Park, Historic Pithole City and McClintock Well #1 educate the public about the oil and natural gas industries in Pennsylvania, demonstrating the relevance of petroleum in their lives.